The intense battle against cyber crime has never been as strong as it is today as spammers and cyber criminals strive to stay one step ahead of the latest email security improvements. Recent high-profile cyber attacks against large organizations such as Amazon, Sony and others highlight how rapidly the email security landscape is changing. 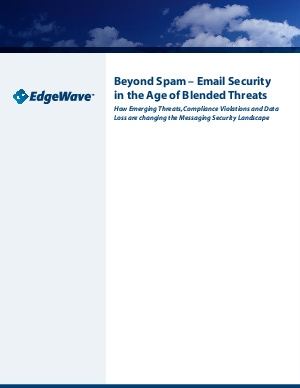 This white paper discusses how new sophisticated, blended email threats can spell disaster for organizations large and small if they are relying on spam filters alone to protect them. Read this white paper to learn the threats you are facing and why a multi-layered email defense system is your best defense.